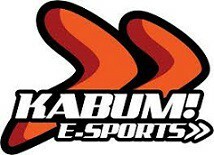 Nur eine Woche nach dem Electonic Sports World Cup gibt es Neuigkeiten vom Teilnehmer aus Brasilien - KaBuM e-Sports. Um häufiger an den Turnieren in Europa und Nordamerika teilnehmen zu können und so mehr Praxis zu bekommen, als das sonst möglich wäre, fusioniert das Team der Counter-Strike: Global Offensive-Größe aus Südamerika und die Organisation wirft die Finanzen für CS:GO mit ProGaming.TD in einen Topf. So vermischen sich die beiden Top-Teams und es bildet sich ein Neues Lineup. Durch die Fusion soll es dem Team möglich sein, alle drei Monate an einem internationalen Event teilnehmen zu können. Vielleicht kommt durch diesen Schritt und seine Folgen genug Erfahrung nach Brasilien. Das Team wird von nun an aus den beiden KaBuM-Akteuren Gabriel 'FalleN' Toledo und Fernando 'fer' Alvarenga bestehen, zu denen sich von ProGaming.TD die drei Spieler Lucas 'Steel' Lopes, Caio 'zqk' Fonseca und Ricardo 'boltz' Prass gesellen werden. In seinem Statement bedauert FalleN die Trennung von seinen Mates, doch um seinem Ziel, mit Brasilien im Bereich Counter-Strike nach ganz oben zu kommen, ein Stück näher zu kommen, sei dieser Schritt nötig gewesen. Das Team nennt sich nun KaBuM.TD. This ESWC showed that we still lack a lot of organisation, commitment and experience at international events for us to be champions abroad. It showed me that even though you give the team everything that is in your power, that may not be enough to have full commitment from your team-mates. I am saying this because our practices could have been better. It is true that practicing in Brazil is not as good as practicing abroad, but if that is not possible then you have to do the best with what you have. I have said many times that fnx is one of the best players I have seen, but despite the fact that he is so good when committed, it is hard to motivate him. So we decided not to play with him for the next competitions. It seemed easy, picking up a player to replace fnx and pick up where we left off, but an opportunity arose. This is one of the toughest decisions one can make when you are playing alongside people you really care about. But this is our job, and somtimes we have to let people we care about go to move on. I work every day with the dream of putting our country at the top of eSports, and that is what motivates me and gives me the safety to make hard decisions like this one.